Developer Allen Harris presents plaque to City of Opelika officials. On October 11, Allen Harris, developer of The Springs of Mill Lakes hosted Mayor Gary Fuller, Opelika City Council members and department heads at the new 55+ community’s Owl’s Roost Clubhouse for a mid-construction barbecue. Harris provided an update on the development and also unveiled a plaque to be placed on the bridge within the property, honoring Opelika’s Mayor Gary Fuller and Council Members Patricia Jones, Eddie Smith, David Canon, Larry Gray and Dozier Smith T.
Allan Campfield, President of Homeworks of Alabama, Peyton Rogers, Operations Manager of Harris Doyle Homes and Betsy Sheppard, President of Gilbert & Sheppard Group also addressed the guests and thanked the City of Opelika for its ongoing support. In turn, Mayor Fuller thanked The Springs for bringing this very special 55+ active lifestyle community to Opelika. Opelika’s Mayor Gary Fuller expresses appreciation for the development of The Springs of Mill Lakes active lifestyle community. The lunch gathering in the clubhouse amidst construction was fun and casual. Guests enjoyed local Chuck’s Bar-B-Que and the opportunity to see The Springs’ progress first-hand. The Springs of Mill Lakes is a master-planned residential community of 134 single-family custom homes, specifically designed to appeal to the active 55+ homeowners who seek an easy-living lifestyle surrounded by nature. In addition to 67 acres for active 55+ living, The Springs of Mill Lakes also encompasses a 13-acre senior living campus community and a 45-acre perpetually protected wildlife sanctuary. 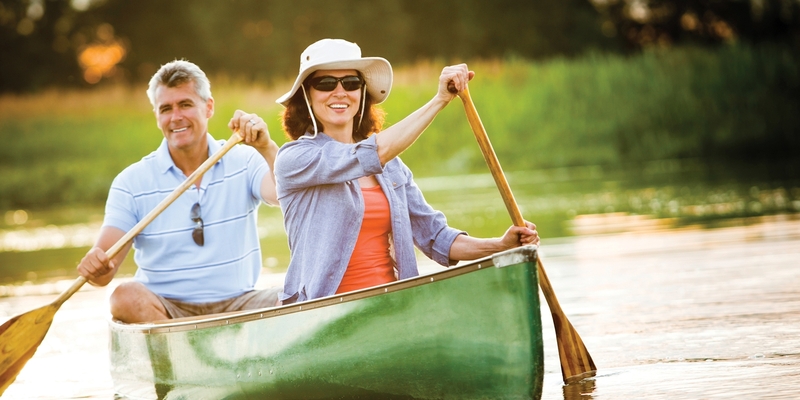 The community’s natural setting includes two 3.5-acre mature lakes, one for recreation and one stocked and managed for fishing, as well as a wandering creek and waterfalls. The lush master-planned community will be further enhanced by walkways, a nature trail, paddleboats, canoeing or kayaking, and a dock on the recreation lake. The Owl’s Roost Clubhouse will feature a large gathering lounge with fireplace, a catering kitchen, fitness center, meeting room, business center, flex room, and a floor for ballroom dancing. Construction on the clubhouse started in July 2016. To learn more about this beautiful 55+ neighborhood surrounded by nature and to add your name to our VIP interest list, please visit www.TheSpringsOfMillLakes.com.